Last night I had the pleasure of speaking to a class of undergraduates about my career as journalist and my new "career" as memoirist. These young writers were interested - maybe more - in the memoir than the newsroom. Word of caution: When you write and publish your memoir, be prepared to answer some very personal questions. Why did you feel you were not a good wife to your husband at the end? How do your sons feel about what you wrote? Why did you write something so personal? Were you embarrassed as the book was about to be published about going public with something so personal? What did you learn that surprised you? Have you remarried? I should say that these are the same questions I have been asked in radio interviews, as well as by older adults who have read Again in a Heartbeat. 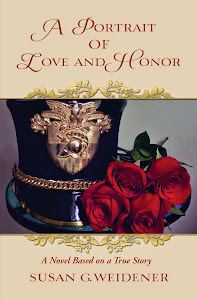 I believe a well-written story from the heart can offer a theme that resonates with others. Writing is an act of witness. It is saying, "I live. I matter." It is this sharing of our journey and our stories that is uniquely human. 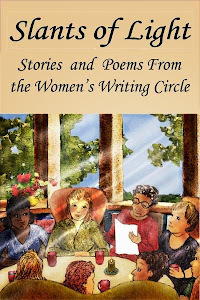 One of the reasons I started the Women's Writing Circle was that I had benefited from a group of writers. I wanted to offer that same support and setting. There is a need for community. Others are longing to write their story. It is finding the courage and the support to do it. When you write your story, believe in it. Try never to apologize for being "outspoken." Stay true to yourself. Was I embarrassed? No. As a journalist, I was used to having an audience. This, obviously, is not true for everyone. 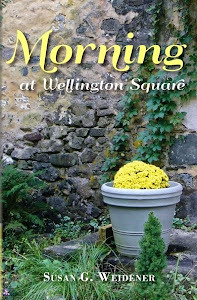 Before publication, I had vetted the book with an editor, a family therapist and a professional writer. 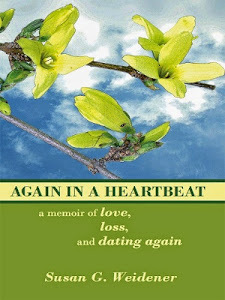 I was attuned to the sensitivity of the subject matter and those who would be reading it, not just my family, but families who have struggled with cancer, grief, widowhood and divorce. As I told the students, never try to write a book alone. It is impossible. Writing is a solitary endeavor, but finishing the book is a collaborative process. The surprising part? Thanks to the actual process of writing the book and then hearing the comments from my readers after it was published, I learned more about myself. I was able to come to terms with not being a better wife. I had forgiven myself.